Hillsong Worship comprises three worship teams: radio-friendly worship songs that come out of the home church; Hillsong United, which is the edgy adult worship team with a unique sound, and Hillsong Young & Free, the youth team with the energetic anthems. United and Young & Free are active in writing worship songs and putting out albums; each has its unique sound and avid following. This Tuesday at the Singapore Indoor Stadium, both teams will be performing together on their X tour. Mervyn Lim of City Radio speaks to Taya Smith, who began as a youth worship leader with Hillsong, and has now progressed to Hillsong United. Mervyn Lim: This is the first concert tour ever featuring both Hillsong United and Hillsong Young & Free. How did the idea of touring together come about? Taya Smith: The last tour that we did—it would be about over six months ago—was our Wonder In The Wild tour. We did many different things we had never done before, like going into a couple of prisons, both women’s and men’s prisons. And we got to worship in the home of a woman who was quite ill and not able to make it to corporate worship nights and church services. And we did different things and it was quite refreshing for us as team. After that tour, we thought we wanted to do something different. We’re part of an amazing local church, Hillsong Church. It’s definitely a global church, but it definitely has a local feel [at home]—it’s the greatest. So usually, we’re [the worship teams] actually not allowed to travel at the same time, ‘cause we wanna keep [the] home [church atmosphere] strong. But this tour is so amazing—we’re allowed to travel together and it’s something special. So, we get to basically have a family reunion in Asia—we’re so excited to come! What do you think is the work that God is doing in the church in Asia, especially among the youth? Young people have a desire to be loved, to be seen and to be heard, regardless of where they are in the world. They’re part of the “now” generation where they get everything instantly, like they’d order [something on a website] and they get it the next day. With Instagram and Facebook, like everything is just “now”. But I feel young people are real—I feel like they can tell pretty quickly when something isn’t real. And so I feel like they’re after a real relationship with God, not a thing that their parents have taught them, but actually something that they can grab onto for themselves. And I feel genuine faith speaks louder ‘cause it [comes] out of who you are. I think that really ministers to young people. So it’s like an awakening to the fact that you can have your own personal relationship with God. And it’s not based on works and it’s not based on “I have to be good enough” and “I have to clean this up before I get to come”, but you actually get to come as you are. You get to work it out with God, and He’s the kindest and He’s better than we think. I feel like people have a real stirring in their faith to go, “You know, I want something real; don’t give me the fake stuff, don’t give me the filthy stuff—I want a real relationship with God.” When other people see that, it’s quite attractive. I’ve seen that a whole lot of young people just want what’s real. There’s always a lot of energy and vibrancy at your live shows. How do you keep people focused on worshiping Jesus, instead of just enjoying the hype and excitement and fun, like a secular concert? We call it Worship Night, and that is because we are there to worship Jesus. I love that worship isn’t just something that happens on one night when you gather together, but I believe it’s a lifestyle, a lifestyle where you’re constantly going after God, learning who He is and who He says that you are. We learn all that through a personal relationship with Jesus and we learn that through reading the Bible, and then we have to align our life with the Word of God: what that looks like, how to live that out, and how to live it out in a modern society. So we do want to grab attention, but to quickly deflect it off us [onto Jesus]. We invite Jesus into our heart when we say “Jesus, You’re my Savior, I want You to live inside of me and help me through this life.” So hopefully, people would actually catch that He is inside me, inside of everyone on that platform leading people. It’s the greatest honor. It’s cool that so many people come to a worship night from all different walks of life. I love that a video we show during the concert could speak to someone who is an amazing technical person that works with computers—that would highlight the greatness of God; they would see something in that. There are just so many cool elements that could speak to different people, and so I love that it’s not just the worship leaders who go on the platform, but it could be the lighting technician and he’s leading the worship through what he’s doing. And it’ll all communicated that “Actually it’s about Jesus”. So, Taya, you have been a part of both United and Young & Free, what do you feel is the main difference between the two bands? Well, to be honest, other than the varying of sounds, I don’t think there’s much difference. Like sure, there’s like different people within both worship teams, but to be honest, we’ve all got the same heart, the same desire for people to encounter Jesus. And I love that it’s through different, maybe slightly different mediums. 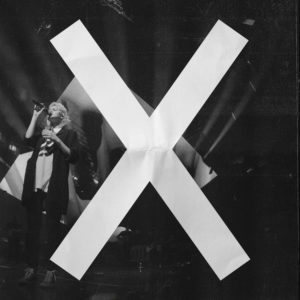 We have Hillsong Worship—that’s the radio expression. Hillsong Church is led by our senior pastors Brian and Bobbie Houston. We’ve known right from the start, 30 years ago, that there’s a mandate on our house to bring forth music that would encourage the Church, and it’s for the greater Church. It speaks deep across churches and across the entire globe and if people wanted to, they could take these songs and use them in their own church services to encourage people. That these would be songs that will build faith and point people to Jesus—we know that’s being mandated over our house. Hillsong United began when we were the youth band, but then almost 20 years went by and no one’s youth anymore because we’ve all got kids, and so that’s when Young & Free happened—there was a real gap and a real need for it. Laura Toggs, Brian and Bobbie’s daughter, she and her husband stepped in and they created the sound that was needed for that [new] generation. It’s a sound that’s bringing hope and life to young people. But again, like I said before, I guess there’s something real in these songs. It’s a different sound that is catchy and it’s amazing to even see it catch on around the world. People are actually catching on to things [in the songs] that are talking about the goodness of God, and His faithfulness, and I love that. I also love that with United, we get to create something different. Like maybe it’s a slightly uncomfortable sound, because it’s something so different than what you would have in a normal church service. I love that we have a God that is the God of unlimited expression. He’s the ultimate Creator and He created every single one of us; He created the way our bodies work, the way the heart pumps blood. There’s so many amazing things about just the way we’re created and that’s a reflection of who our God is—there’s unlimited, endless expression in music and in art. I just love that we haven’t even scratched the surface of that. Personally, I hope that we would have Christians in every artistic genre, making the craziest music and the craziest art, because, why wouldn’t we? We say we have amazing lighting technicians and artists in the secular world, doing all that stuff, but why wouldn’t we have them in church? Just taking it next level and worshipping God in their craft, to the best of their ability. I just love that there’s a space for everyone and I feel like through all those different expressions, hopefully, someone would find something that they would be able to latch on to and love the sound of and worship God with. I kind of love that there’re three different expressions but it’s kinda awesome, ‘cause Hillsong Worship is the branch that involves everyone: from Young & Free, from United and within our greater church. It’s really cool to be a part of that. The sound of Hillsong United has changed over the years. As you said, it was once the youth band of Hillsong. In fact, I grew up listening to the Everyday album and from there on. How has United changed now that everyone has grown? That is the role of the band, compared to Hillsong Worship? I would say, just like I was saying before, Hillsong United essentially was birthed out of a need. There were all these guys and they were a part of the youth worship team in the youth ministry. They were just writing songs that they would be able to play to their friends at school and say, “Come along and check out what’s happening at our youth thing.” They were just trying to write songs that would catch the attention of their friends but would obviously be like, Bible-based lyrics that would talk about who this God that they’ve fallen in love with it. Twenty years later, everyone’s grown up and they’ve got kids and so they can’t be the youth band again. But I just think that the message—which is the message of Jesus and the Gospel—that doesn’t change. Maybe the medium has, like the sound can change. People have been so gracious—they’ve followed us along that entire amazing 20-year journey. Our message has stayed the same. I love that in Romans it would say like that is kind of like the only valid response. It’s not even enough, but like we would give every part of ourselves and that’s what worship is. It’s acknowledging someone that’s bigger than yourself in every moment, and that’s how I talk to my family that’s how I talk to my husband. Am I acknowledging God? How do I honor other people? Because I’m doing this in honor of God and that’s the way that I look at my job. Whether it’s a job that I love or a job that I was just doing to pay off student loans, am I doing it unto God? Because He’s the sovereign God and He’s in control of every season, and He’s allowing the season to be what it is. I love that worship is how we’re called to live, where it’s just so nice because it takes the pressure off of us trying to be the boss and trying to figure out how it all goes. Worship is recognizing who we are and who God is—it puts Him in His rightful place. I feel like if we have a posture of worship in how we live and it’s our lifestyle then, we’re less likely to get off track as much. Both United and Young & Free have impacted youths the world over. What is one thing you would say to those young people who aspire to minister to other youths through song and music in the way you guys do? One little snippet of wisdom that I’ve learned is to be honest, plant yourself in a local church, get alongside the vision of the senior pastors of that church, and learn what it is to become a kingdom-builder and someone who builds God’s kingdom. You build His house and He builds yours—that’s the tip I’ve got. I learned that really early on when I moved to Sydney and I moved out of home, my relationship with God went to the next level because I was in a foreign place and I was like “Hey God, I don’t know anyone’ and it’s just like me and You” and that became a real thing. You have to desire Him. There are people that are like “Wow, if I could just be travelling the world doing this, if I could just be…” I would just say, don’t wish away the season that you’re in, because God can do anything, and maybe He just wants to see you be faithful with the little that He’s giving you. Because to those who have given much, much is required, and I don’t know if I would give somebody else something if they hadn’t proven to be faithful with that little thing. I feel like that’s all God’s ever asking, to be faithful with the little thing that’s been given. Firstly, if you’re not planted in a local church, I’d say just get planted. I feel like God does something when you’re planted and when you stay and when you allow pruning and you allow in God, and the Holy Spirit and the people around you. We are meant to do life together in community and I feel like, for each one of us that gets to travel, we’re part of a local church when we’re not travelling. For example, I’m here in Sydney at the city campus, where I’m a part of. Whenever we’re not travelling, that’s who we are: we’re pastoring people and we’re hanging out, writing songs, leading services and leading prayer meetings. There’s just something so grounding about that, so just plant yourself in a local church. Get alongside the vision, figure out what it is that God’s calling you to do and just go all in. We only have one life to live, really. We don’t want to get to Heaven and hear an account of our life, and then God’s like “I gave you so many opportunities but you just kept wishing away, wanting the thing you had”. There’s something beautiful about being faithful with the current season that you’re in, and later on you look back and go “Wow, You were actually building my character, You were actually building the people in the community that I had around me, so that they would sustain me to be able to hold Him right and get to a certain thing.” It just makes it so much more beautiful and light-hearted in that moment as well, because you’re content and you’re not looking for the next thing. But maybe you’re missing the very thing that God is wanting to do in your heart even in this season, if it’s a hidden one. So, stay planted, and just be faithful in the now season. I’m walking in this amazing, joyful season of just getting married, but there was a whole season of five years when I’m single and I was like, “God, this isn’t like what I thought it was, I thought I’d be married.” I so don’t want to wish away that season and like wanting to be present and God can do anything. It ended up being a way quicker season than I thought when we decided to get engaged and married. My husband and I have known each other for over three years whilst being friends, so that was great. Don’t wish away that [dry] season and just be faithful with it. God is, He’s always faithful. You can totally bank on Him. Transcribed by MEGAN KHAW. This interview has been edited for publication. Hillsong United X Young & Free play at the Singapore Indoor Stadium on Tuesday, June 19, 8pm. Limited seats available at here.